The idiom has it that as time passes water flows under the bridge: David Macdonald observes that as we approach the anniversary of Cecil’s death that proverbial water has been a torrent, but amongst the turbulence of debate and the swell of concern for lion conservation there is good news from Hwange: Cecil’s three lionesses and seven cubs are still alive and well and, together with the surviving pride male, Jericho, still occupying what was formerly Cecil’s home range. We did have a scare when one of the females appeared ominously stationary but it turned out that she had shed her radio-collar, so all was well. The survival of all these lions is a personal delight to us, and a relief, but it’s also quite surprising. As is widely known now, when a pride male is killed that can lead to the overthrow of his coalition partners by incomers and the subsequent infanticide of the cubs, but this didn’t happen. Furthermore, Jericho is a very unusual lion, sociologically, as was Cecil before him. Both were old, and both had previously been pride males elsewhere before they teamed up for a second career – Jericho’s continuing success is remarkable. 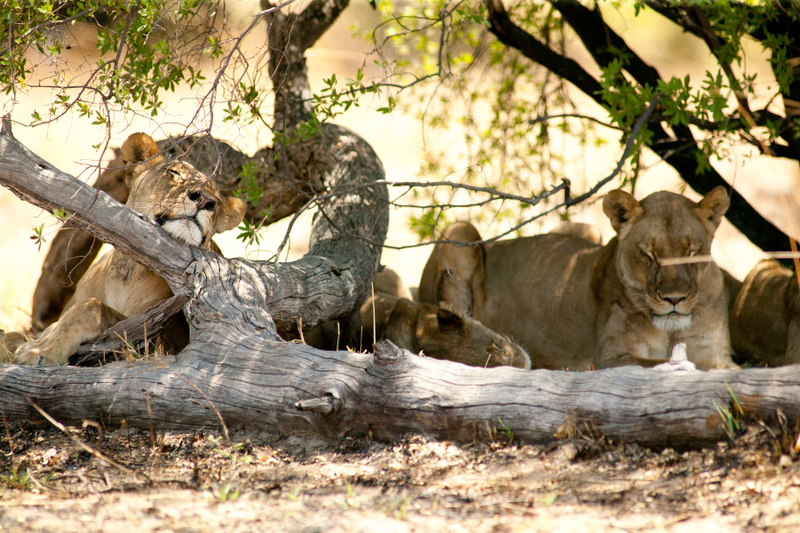 All this is good news from the field, and adds to the continuing fascination of lion sociology, but this is only a tiny part of the story that has unfolded this year: WildCRU’s Trans Kalahari Predator Project has been setting up new initiatives in Zimbabwe and in Botswana, where Andy Loveridge and I will be working with the field team next month, so there’s much more news to follow. Please select ‘WildCRU’ in the drop down list.